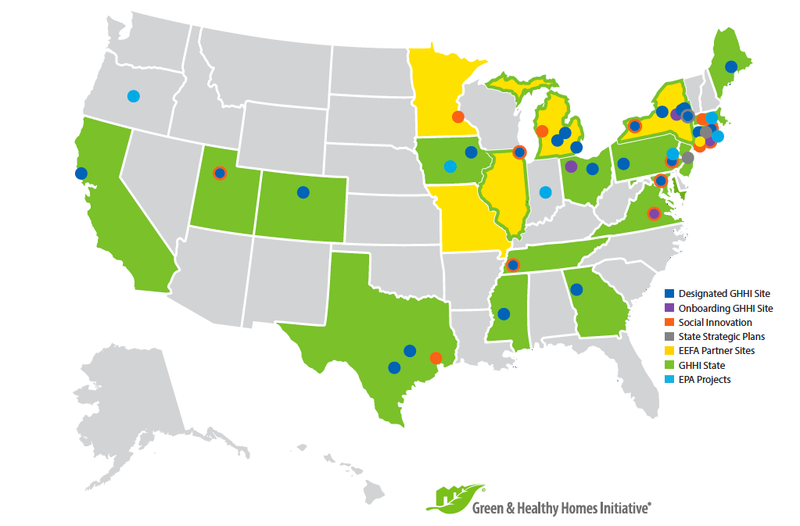 In addition to GHHI sites, GHHI operates and manages a variety of state and local projects across the United States. View the map below to see where we operate, and use the links below to learn more about how the projects operate. If you need additional assistance, call GHHI at (410)-534-6447 or email info@ghhi.org. GHHI Sites: For more information on our GHHI sites, visit our locations page. Social Innovation: For more innovation on our Social Innovation work, visit our Innovative Financing and Pay for Success page. State Strategic Plans: See our press release related to our plan in New Jersey; contact gwstewart@ghhi.org for more information on this or other state strategic plans. EEFA Partner Sites: Contact jlewis@ghhi.org for more information on our EEFA partner sites. EPA Projects: Contact info@ghhi.org for more information on our EPA projects.